A bike pic to remember! This wheelie Wednesday take a chance if life were a mountain bike trail a wheelie could help smooth out your day-to-day ride or aided in dropping into your sweet spot. Why not review the following tips to make your week an adrenaline high? This photo was taken last fall at the West Marion Lake Mountain Bike Park in Lakeville, MN. 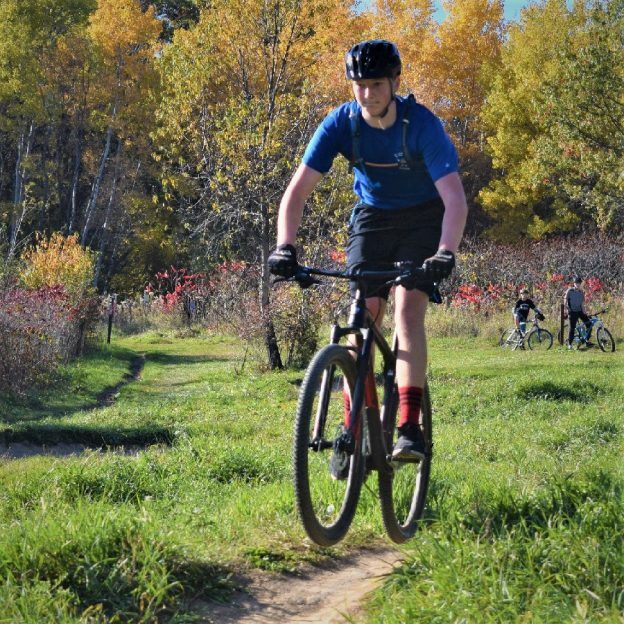 This entry was posted in Picture of the Day and tagged bicycle lifestyle, Bloomington MN, bunny hop, Minnesota Mountain Bike Trails, Minnesota Off-Road Cyclists, Minnesota trails, MORC, mountain bike fun, Mountain Biking, trail jump, trail wheelie on March 13, 2019 by Russ Lowthian. 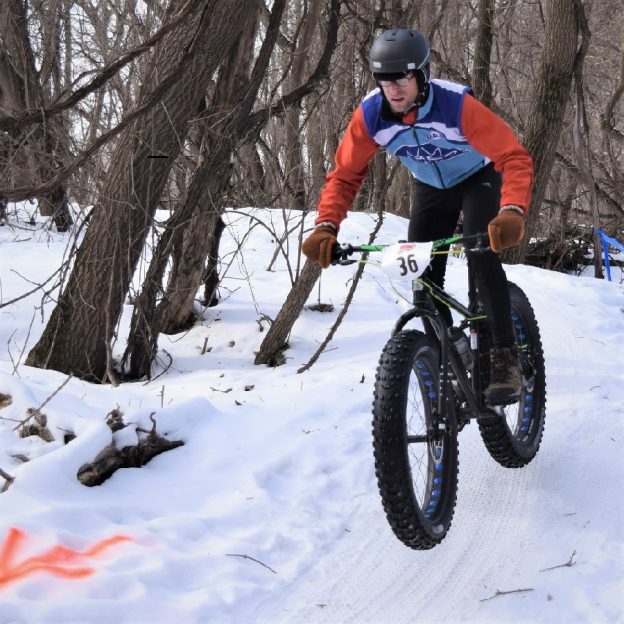 This entry was posted in Picture of the Day and tagged bicycle lifestyle, bunny hop, Minnesota Mountain Bike Trails, Minnesota Off-Road Cyclists, Minnesota trails, MORC, mountain bike fun, Mountain Biking, trail jump, trail wheelie on March 6, 2019 by Russ Lowthian. This entry was posted in Picture of the Day and tagged bicycle lifestyle, bunny hop, Minnesota Mountain Bike Trails, Minnesota Off-Road Cyclists, Minnesota trails, MORC, mountain bike fun, Mountain Biking, trail jump, trail wheelie, Visit Lakeville, West Lake Marion Mountain Bike Trail on February 27, 2019 by Russ Lowthian. This Bike Pic Wheelie Wednesday, fond summer memories as a record-breaking polar vortex does a fast-freeze of the upper Midwest. Here in this photo, we captured the BMX Stunt Rider from the Ride Factory, at an exhibition in Richfield, MN this last summer. 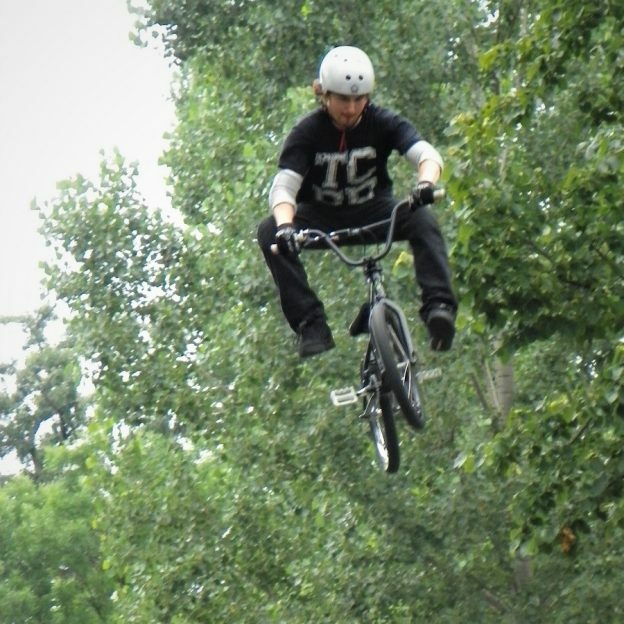 This entry was posted in Picture of the Day and tagged bicycle lifestyle, bike minnesota, BMX stunt jumper, BMX stunt rider, bunny hop, mountain bike fun, Mountain Biking, trail jump, wheelie wednesday on January 30, 2019 by Russ Lowthian. This Bike Pic Wheelie Wednesday, take a chance! If life were a mountain bike trail and a Wheelie helped smooth out your day-to-day ride or aided you in dropping into your sweet spot, why not review the following tips to make your week, adrenaline high? This entry was posted in Picture of the Day and tagged bicycle lifestyle, bike minnesota, bunny hop, Eagan MN, Lebanon Hills Regional park, Minnesota Mountain Bike Trails, Minnesota Off-Road Cyclists, Minnesota trails, MORC, mountain bike fun, Mountain Biking, trail jump, wheelie wednesday on January 23, 2019 by Russ Lowthian. Remember, take a chance! If life were a mountain bike trail and Wheelie Wednesday helped smooth out your day-to-day ride or aided you in dropping into your sweet spot, why not review the following tips to make your week, adrenaline high? This entry was posted in Picture of the Day and tagged bicycle lifestyle, bike minnesota, bunny hop, Eagan MN, Lebanon Hills Regional park, Minnesota Mountain Bike Trails, Minnesota Off-Road Cyclists, Minnesota trails, MORC, mountain bike fun, Mountain Biking, trail jump, wheelie wednesday on January 9, 2019 by Russ Lowthian. Remember, take a chance! If life were a fat bike trail and Wheelie Wednesday helped smooth out your day-to-day ride or aided you in dropping into your sweet spot, why not review the following tips to make your week, adrenaline high? This Bike Pic Thursday, we caught this biker dude out having fun in the Minnesota River bottoms near Bloomington, MN. This entry was posted in Picture of the Day and tagged bicycle lifestyle, bike minnesota, Bloomington MN, bunny hop, MAMB, Mankato Area Mountain Bike Association, Minnesota Mountain Bike Trails, Minnesota Off-Road Cyclists, Minnesota trails, MORC, mountain bike fun, Mountain Biking, trail jump on January 2, 2019 by Russ Lowthian. A bike pic to remember! This Wheelie Wednesday photo was taken earlier this fall at the West Lake Marion Mountain Bike Park, in Lakeville, MN. 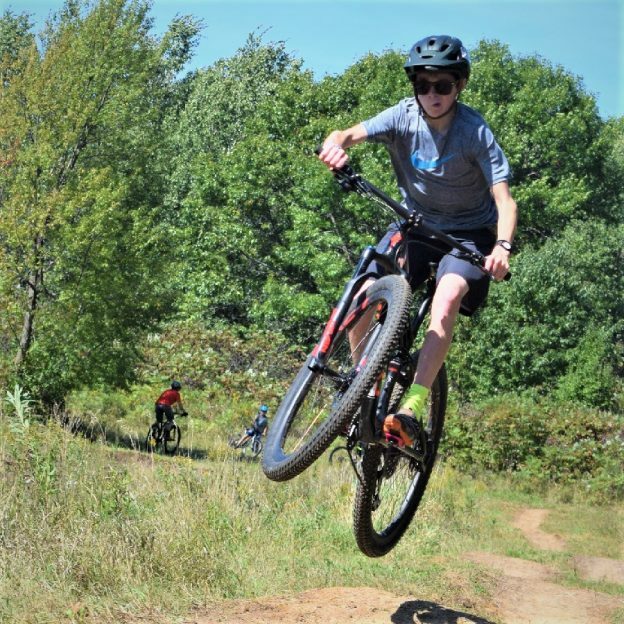 This entry was posted in Picture of the Day and tagged bicycle lifestyle, biker dude, bunny hop, Minnesota Mountain Bike Trails, Minnesota Off-Road Cyclists, Minnesota trails, MORC, mountain bike fun, Mountain Biking, trail wheelie, Visit Lakeville, West Lake Marion Mountain Bike Trail, wheelie wednesday on October 17, 2018 by Russ Lowthian. This bike pic Wednesday, remember to take a chance! If life were a mountain bike trail and Wheelie Wednesday helped smooth out your day-to-day ride, why not review the following tips to make your week an adrenaline high? We capture this picture in Lebanon Hills Park, home of the Wild Ride Mountain Bike Festival, September 22nd. 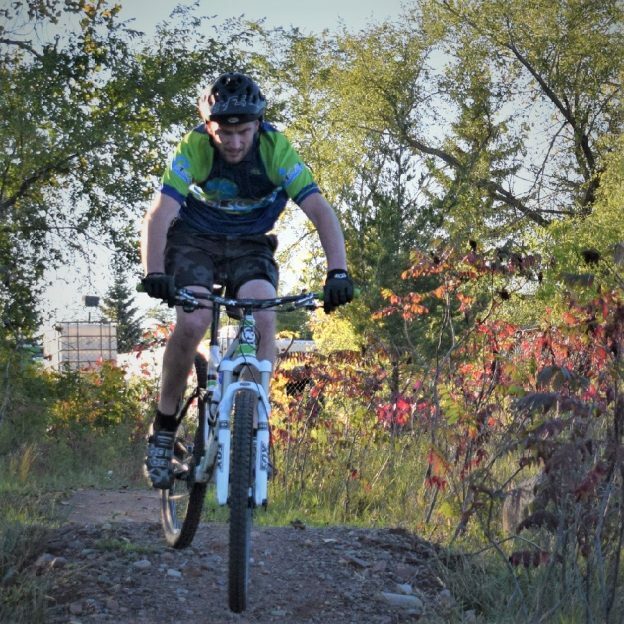 This entry was posted in Picture of the Day and tagged bicycle lifestyle, bunny hop, Dakota County Parks, Lebanon Hills, Minnesota Mountain Bike Trails, Minnesota Off-Road Cyclists, Minnesota trails, MORC, mountain bike fun, Mountain Biking, trail jump, trail wheelie, Wild Ride Mountain Bike Festival on October 3, 2018 by Russ Lowthian. This bike pic Wednesday, remember to take a chance! If life were a mountain bike trail and Wheelie Wednesday helped smooth out your day-to-day ride or aided you in dropping into your sweet spot. Why not review the following tips to make your week an adrenaline high? 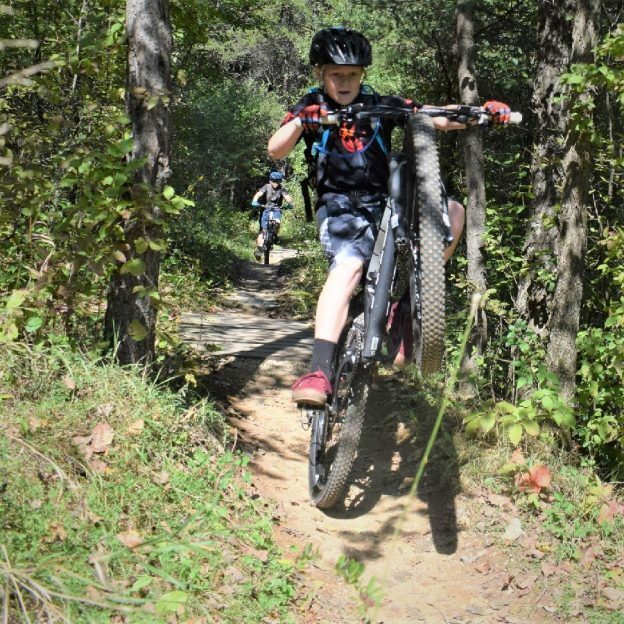 This entry was posted in Picture of the Day and tagged bicycle lifestyle, bunny hop, Dakota County Parks, Lebanon Hills, Minnesota Mountain Bike Trails, Minnesota Off-Road Cyclists, Minnesota trails, MORC, mountain bike fun, Mountain Biking, trail jump, trail wheelie, Wild Ride Mountain Bike Festival on September 19, 2018 by Russ Lowthian.